Any injury or trauma to the mouth that results in bleeding or lacerations to the gums or a broken, knocked out, or dislodged tooth may be considered a dental emergency. Depending on which type of injury has occurred will determine if you need to see a dentist and how quickly you need to receive care. Toothaches are quite common and cause a large amount of discomfort. If no injury has occurred to cause the toothache, it is not a dental emergency. However, it is a sign that there is a larger problem, so you will need to schedule an appointment with your dentist. In the meantime, use over-the-counter pain medications and apply cold compresses to the outside of the mouth. Avoid eating or placing pressure on the tooth until after you have received treatment. 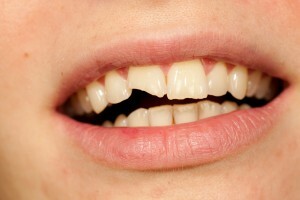 A knocked out tooth is a dental emergency that needs immediate care. If you are seen quick enough, we may be able to reinsert the tooth. If you have had a tooth knocked out, hold the tooth by the crown and rinse it with water. Do not use cleaners and do not dry the tooth. Try to reinsert the tooth. If that is not possible, keep the tooth moist by placing it in a cup of milk. If your tooth has only been dislodged but not fully knocked out, try to put the tooth back into position and head to our office right away. A fractured jaw is an emergency that requires prompt care, but not from your dentist. You will need to head to your local emergency room for treatment. After you have received care from the doctor, schedule an appointment with us to ensure no damage has occurred to the teeth or gums. A broken tooth is a dental emergency but you can wait until your dentist opens the following day in most cases. In the meantime, use over-the-counter pain medications and cold compresses to help relieve the pain. Avoid placing pressure on the tooth. A dental emergency is very scary but you need to remain calm. Reacting properly during an emergency will provide valuable time needed to ensure the damaged tooth can be properly repaired. At Dix Hills Family Dentistry, we are here for you during emergencies. If you are suffering from a dental emergency, contact our office right away. We will treat the emergency to protect your smile.